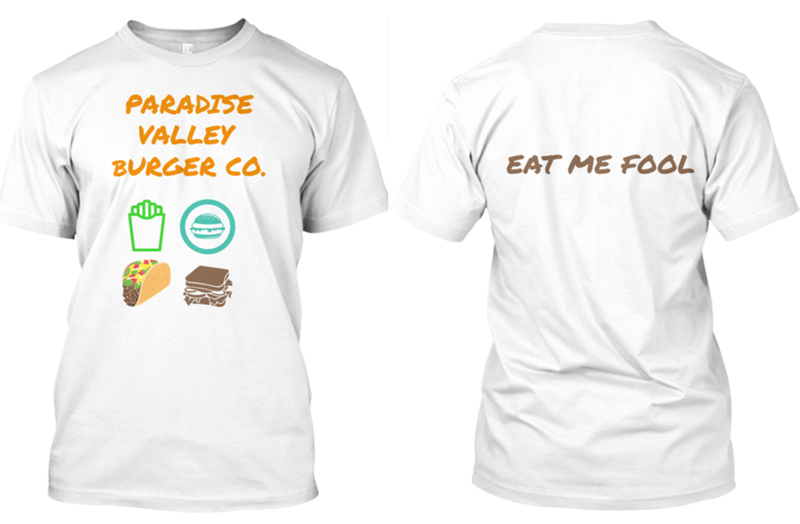 Your Favorite Local Pizza Restaurant - Paradise Valley Pizza Co.
Our merch looks as good as our food tastes. Support local and order yours today! 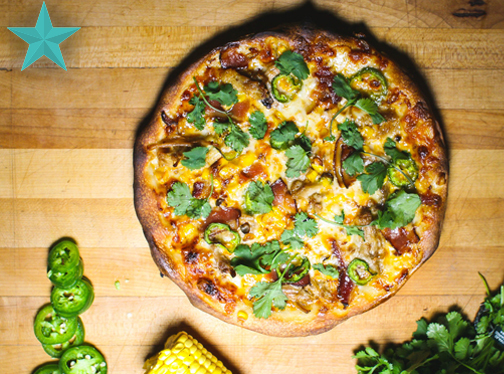 Our thin crust pizzas are made to order from scratch, and with love. 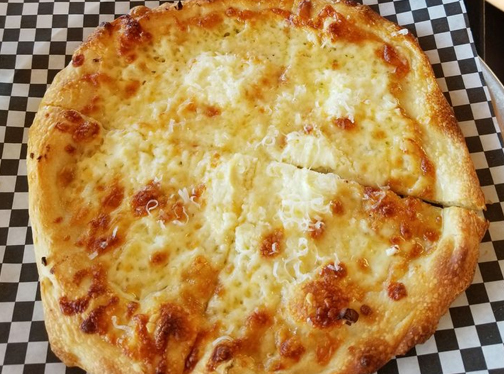 All pizzas are served with our house made cheese blend. 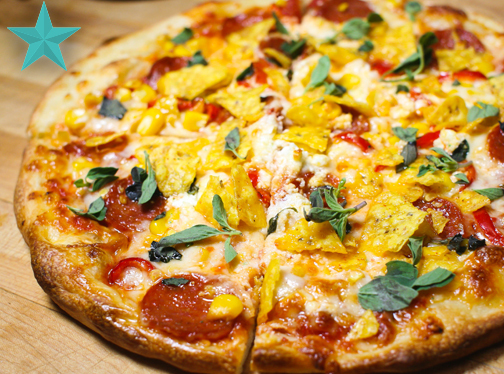 We offer personal pizzas (feeds 1), large (feeds 2-3), and xxxl (feeds 4-5). Gluten-free crusts are now available. 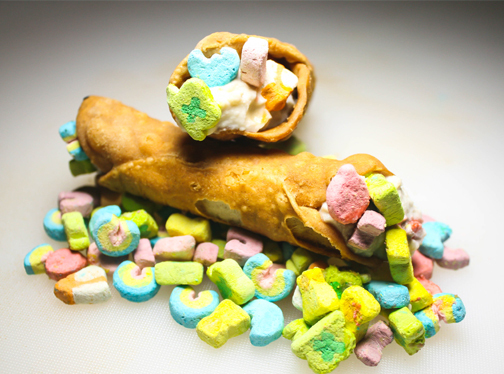 Be sure to add custom toppings, and please enjoy! Paradise Cheese topped with hand-sliced pepperoni. 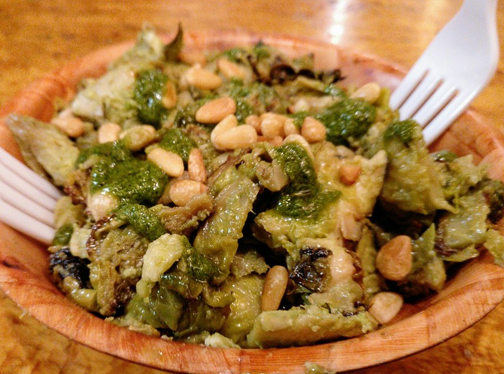 Ricotta, basil pesto, artichokes, garlic, lemon, pine nuts, parmesan. jalapeño, onion, oregano, and cream of mushroom ricotta. 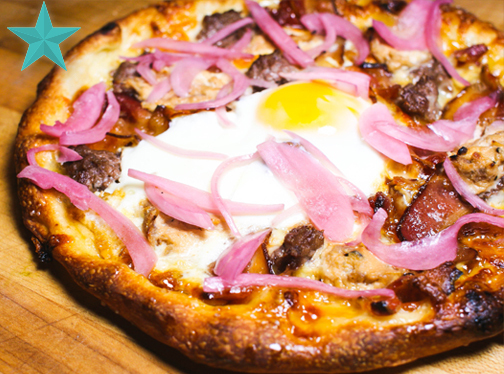 Caramelized onion ricotta, crisp bacon, ground beef, egg, burnt sugar on the crust. Finished with our signature pickled onions. 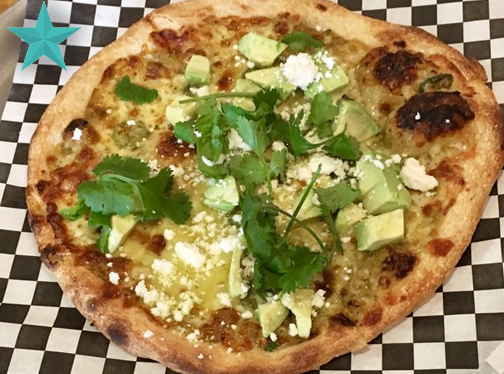 Marinara verde‏, serrano chili pickled in tequila, finished with avocado, lime, cilantro, and queso fresco. Don’t forget the salt on the rim! 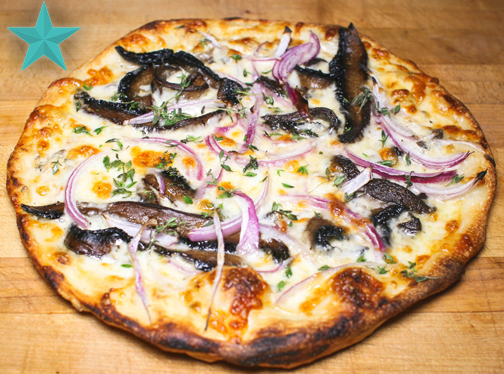 Cream of mushroom ricotta, mushrooms, red onion, thyme, truffle oil. 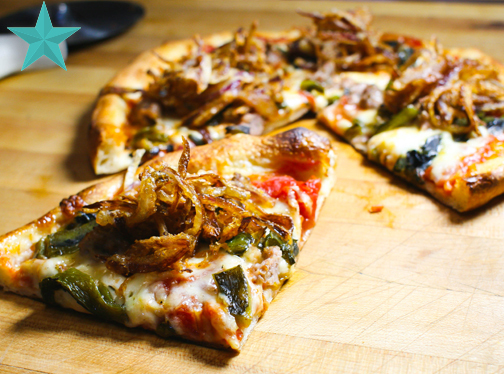 Housemade sausage, garlic, marinara, roasted poblano, fried onion. 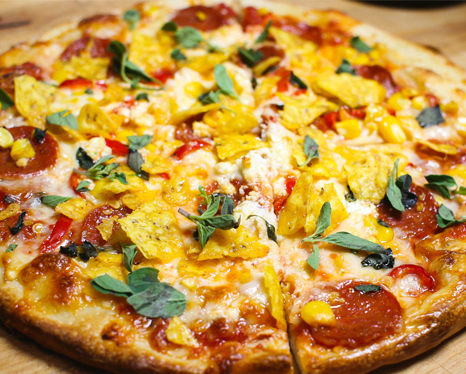 Pepperoni, roasted corn, goat cheese, marinara, fresno chili, topped with crushed Doritos! Chef’s creation, changes weekly. Check Facebook or Instagram for details! 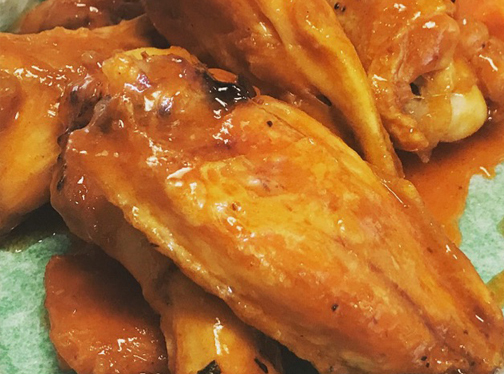 6 for $8 or 12 for $14, with house-made ranch. Romaine, cucumber, tomato, pickled onion. Freshly prepared and made to order. All dressings are made in house. Choice of 1000 island, bleu cheese, jalapeño ranch, balsamic vinaigrette, or caesar. 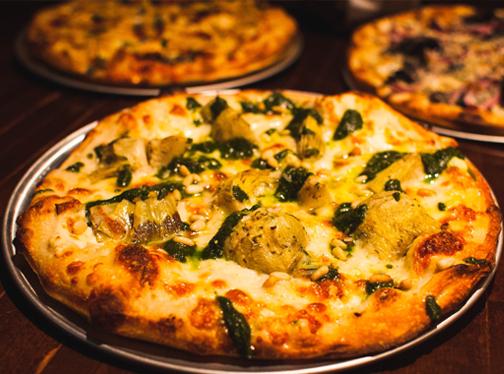 Roasted brussels, artichoke, lemon, basil pesto, parmesan, fresh mozz. 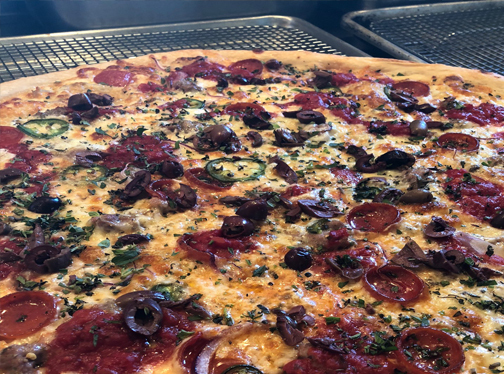 Hand sliced pepperoni, Greek olives, fresh mozzarella, sun dried tomatoes, artichoke hearts, house made pickled onions, parmesan and balsamic vinaigrette. 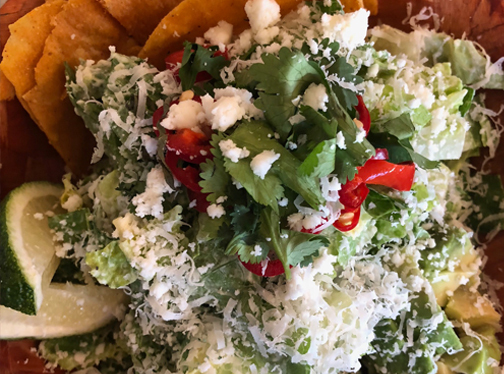 Romaine, caesar‏ dressing, avocado, lime,cilantro, fresno chili, and queso fresco served on a tostada crouton. 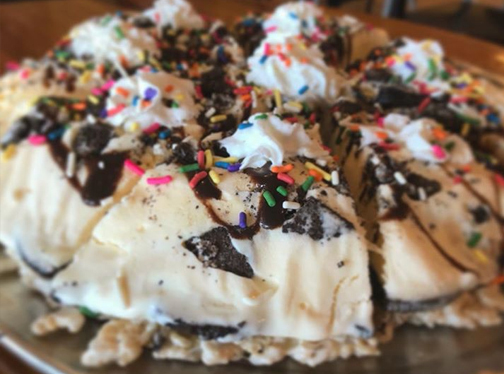 Vanilla ice cream, fudge, Oreos, whipped cream, and sprinkles on top of a Rice Krispies Treat crust. We offer personal (feeds 1-2), large (feeds 2-3), and xxxl (feeds 4-5). >>Click here to call us! Customer- I’m really indecisive today. 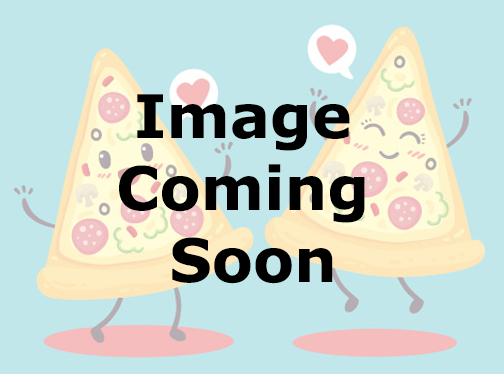 Pizzeria- sorry to hear customer! What’s the dilemma? Introducing the world to our newest and subsequently only cheese shredder!! Help us put it to good use this weekend! 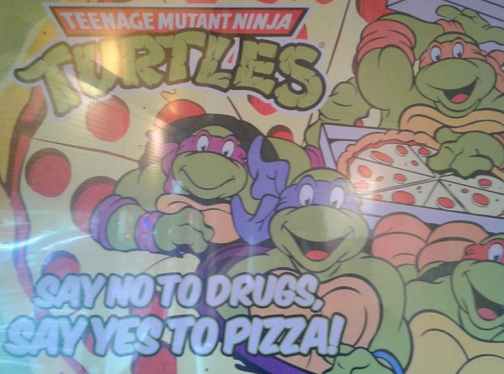 Purchase any xxxl PIZZA and get a 10 inch PIZZA for FREE! FREE DELIVERY ALL WEEKEND LONG. 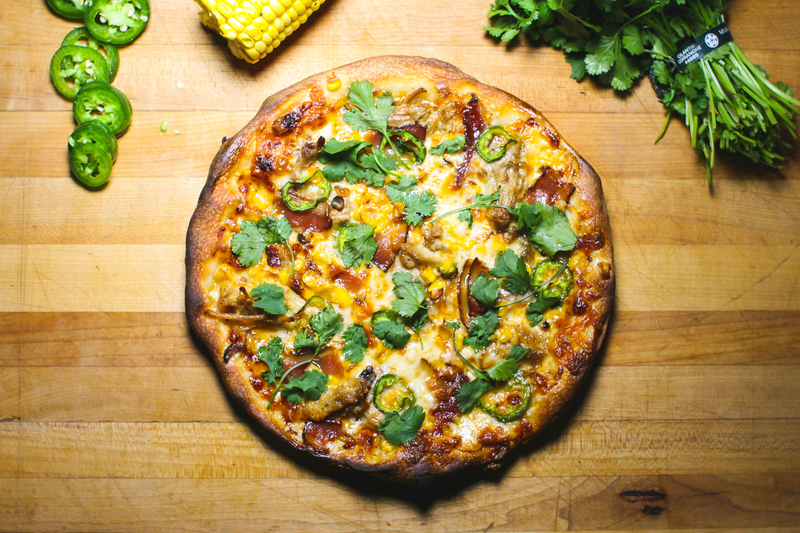 Spend the SUPERBOWL with the Paradise Valley Pizza Company! 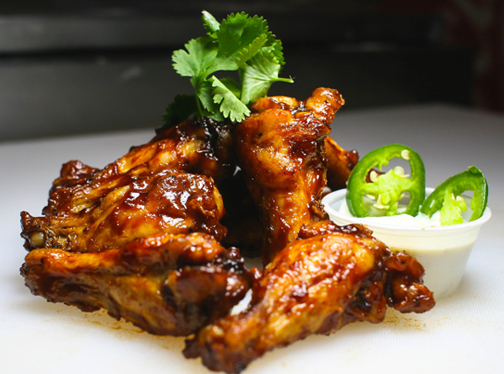 Offering over 10 different flavors of the BEST WINGS in town! 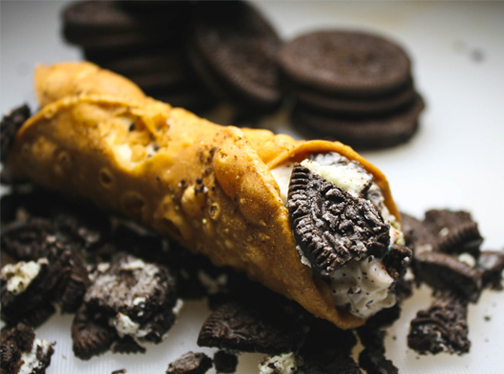 FREE DELIVERY on orders of $30 or more! 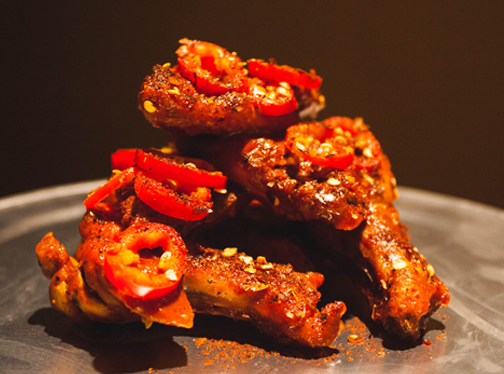 We recommend PRE ORDERING to reserve your time slot, but feel free to call in whenever you’re hungry! SO MUCH BOMBNESS!!!! 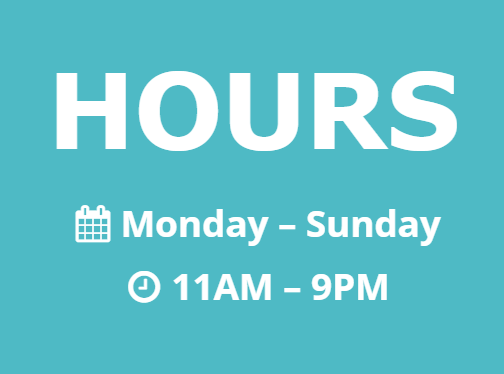 Regular hours today, and Christmas Eve open til 3! Attention pumpkin fanatics. 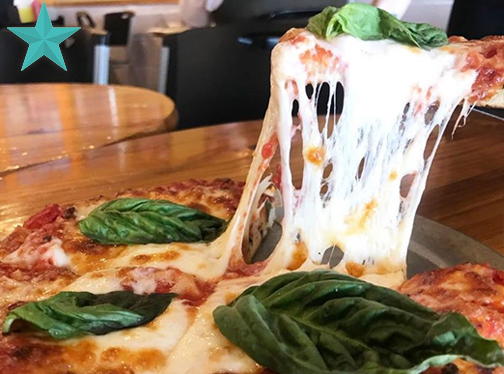 The PUMPKIN SPICED PIZZA has arrived! Thin crust pizza topped with house made sausage, garlic, red onion, Fresno chili, pumpkin spiced ricotta, grated pecorino, and fresh oregano. 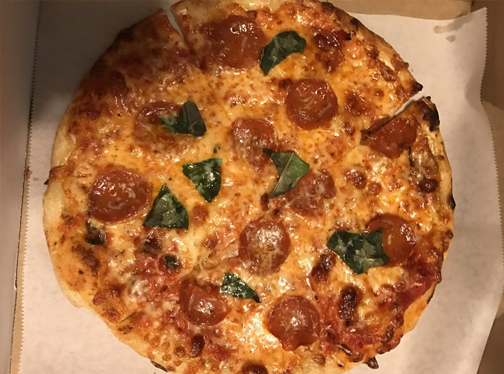 When the moon hits your eye like a big pizza pie it’s amore (or some ish like that) Introducing PIZZA PEPE. Thin crust pizza topped with fennel pork, fresh mozzarella, bell pepper trio, aggressive amounts of garlic, fresh mozzarella, basil pesto, and parm. Cha Ching! Whether feeding 12 people or 1,200, Paradise Valley Catering Company has you covered. 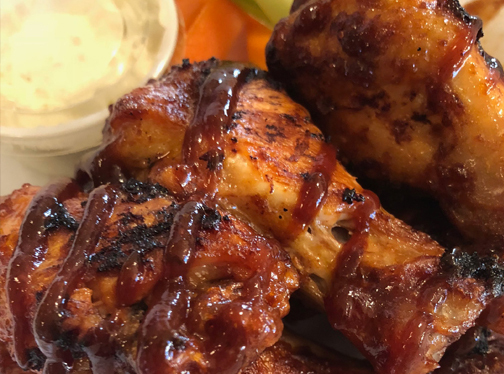 From our world-famous Burger Bar and Taco Bar, to our Barbecue Bar, and Pizza from our newest restaurant Paradise Valley Pizza Company, we have something everyone will love. Have a special request? 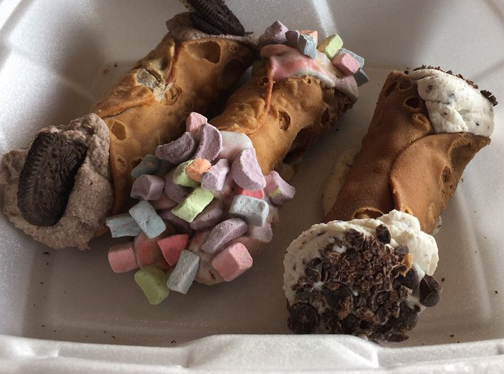 Chef Bret can customize our menu to meet your catering needs. Call (480) 776-9944 or email Chef Bret today and let’s get started! ⇨ Website Design proudly provided by McAwesomes Tiny Studio.